Questions to ask in an interview are just as important as the questions that you are asked, in some cases more important. 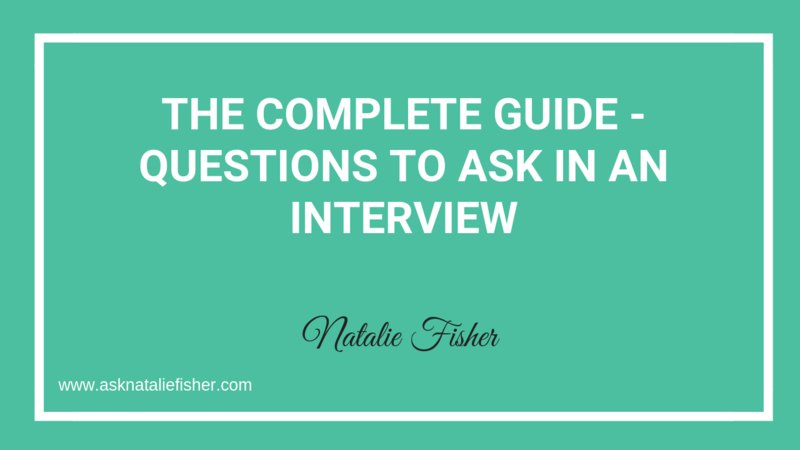 Questions to ask in an interview can be asked not only at the end but at the beginning and throughout the interview too. You can ask questions right from the beginning about the job itself. This way you can tailor your answers to best fit the position and give the Hiring Manager the best information possible when you respond. They don’t prepare any – this is not great, you want to always ask questions because it’s a great opportunity missed if you don’t. It gives you an opportunity to learn so much and put yourself ahead of the game. In this post I explain the types of questions and the information you’ll get from each and why it’s important to make sure you’re asking and harvesting the information that will help you in your career and in any given interview. They immediately ask about benefits or salary or snacks or something that comes over as selfish and irrelevant at the time. I understand wanting to ask about these things, but think of the interview as a whole overall experience. You and the interviewers both want to have a good conversation even if you don’t end up getting hired. Starting out an interview asking about benefits looks very self serving. While you have a perfect right to ask about those things, it is best to ask afterwards when it is time to negotiate the offer. You can definitely ask before you are hired (as to not take a position that doesn’t include benefits if you do require them) however if you’re going to do the interview anyways don’t make it the first thing you ask. They ask questions the interviewer might not be able to disclose like questions about confidential information about their product or their sales process for example. I have seen this happen in the past. Their questions don’t make sense. I had this happen recently I was at the end of an interview and I had to ask the candidate to repeat her questions 3 or 4 times and I still didn’t understand what she was trying to ask. I consider myself pretty good at deciphering people. Even when others don’t understand, I normally do. I speak Spanish fluently so maybe that helps. This candidate was Korean and English was her second language, this had not been a problem throughout the entire interview I understood her perfectly. However with her question she stumbled. So make sure that if the language you’re interviewing in, is not your first language, run your questions by someone else first to make sure that they make sense. These questions are very much for you to determine whether you are a good fit for the position. You want to make sure before you accept a role that you’re going to enjoy it and that you’ll be set up to succeed. Questions like, what will a day in the life of this role look like? Who would I be reporting to etc? These questions you will want to ask so that you can determine whether you are on the same page with how a company does things. In several circumstances companies can be toxic, and an employee will not know before they accept the offer because they didn’t think to ask the right questions. For example not allowing time off without making the employee feel guilty, or they may not allow you to take any time out of your day for an appointment without several weeks notice. This is extreme but there are companies that have strict policies around these type of things, and there are questions you can ask to make sure that the company and the role will allow enough flexibility for you and your life. If the company doesn’t then you should be passing on their offer anyway. These are some examples but there are some situations where clients of mine have ended up in roles that they were so restricted they felt trapped and asking questions about this can make sure that you are accepting a role that will help with your work life balance. I work in a results based environment, which is what I prefer. This means that as long as my work is done on time and to a high level of quality and I’m responsive to the people I am working with, I have the freedom to do what I need to do throughout my day, and I even have the freedom to take work from home days if I need them for a particular reason, like there is a contractor coming to work on my house, or I have an appointment that happens to be closer to my house than to the office. There are more and more companies offering more work from home flexibility because it is becoming more and more competitive to find the right people therefore they need to offer some flexibility around employee work schedules. These questions can give you insight into how the company is run, how the staff communicates with each other, how managers are expected to communicate with their reports and visa versa. Most of the questions that I encourage my clients to ask come from the place of “Is this a good fit for me and will I enjoy working here” Instead of “I’m going to try to impress the interviewer with my super smart questions”. When you ask from a place of wanting to honestly find the right fit for you, then you naturally impress the interviewer with your super smart questions because they can see you’re taking a genuine interest in their company and the specific role, and investing proper time and thought into whether this is the right move for both of you. This is great since it ultimately means no one’s time will be wasted. These questions can be asked if the situation is right and you have built up a good rapport with your interviewer, as time goes on you will start to get more comfortable with the people in the room and you’ll have a better rapport going with them, and that’s the best time to start asking them about their personal opinions and preferences in the workplace. I have had a lot of personal success bonding with the interviewers closer to the end of the interview with questions like, Why do you enjoy working for this company? What brought you to this company? OR What brought you to this career or line of work? OR asking about their preferences in an employee, for example: What characteristics are the most important to you in a new hire that would report directly to you? Or What do you think is the most important thing to succeed in this role? I got into a long conversation with one of my current bosses by starting a conversation asking a question of why he moved to Victoria and from Newfoundland, I could pick up that he had a bit of a Newfoundland accent and I happened to mention it to him. These questions are eliciting curiosity about the interviewer or hiring manager themselves and they will normally respond positively and like talking about themselves and sharing this information with you. This has been my personal experience with it and it has worked extremely well. Most candidates won’t do this as they feel they need to keep professional. But the more you can connect with the interviewer the better. material, it’s super good for anyone attending an interview soon. Thanks for taking the time that you took to write this post in so much detail. Awesome stuff! Remarkable post here. I’m very glad to read this in-depth article. Thank you so much and I’m looking forward to your others! I visited a lot of blogs on this topic and most are just fluff, this one is the real deal. Natalie I used these questions! And I downloaded the cheat sheet and I got the job I start Monday SO Excited thank you so much. How do you write so much content in such a short amount of time? The fit thing is underrated it’s very important trust me on that. Hello There. I found your blog searching google and this is a really great post thanks! This is a fantastic in depth guide to asking questions, I will not look at this topic the same way again! Admiring the dedication you put into your site there is a lot of quality content on here, keep sharing good stuff! This is awesome I think that I am going to consider the questions I ask carefully next time I have an interview coming up. Thanks NAtalie! You read my mind. This is exactly what I wanted to let me know I am on the right path. And I believe I can do it. Thanks again. Great content, I would like to read more in-depth content more often like this. Thanks this is very throughout I think there are some game-changing tips in here.